Editor's Note: We have decided to refer to this plantation as Oldfield simply because that is what people commonly call the area today. We do not yet know the plantation's original name. We suspect that it was not called Oldfield at any time prior to the Civil War. (We define plantations as having been established before 1861.) Similarly, the name Indigo did not appear until the early 1970s. Some sources have mentioned the names Wigg's Bluff, Altamaha and Pierpont or Pearpoint as early possibilities, but so far we have not been able to find a deed or any other primary resource to confirm or deny either of these appellations. If you have documented information you can share, please let us know. Origin of name  The 1732 Lord Proprietors' grant included a piece of land called "Old Field" (1; not yet confirmed by primary source). Governor Robert Johnson received a land grant from the Lords Proprietors (1; not yet confirmed by primary source). 1752  The property was transferred to Gabriel Manigault (1; not yet confirmed by primary source).
?  Col. William Hazzard owned the plantation (1; not yet confirmed by primary source).
?  The property was known as Wigg's Bluff after Edward Wigg had married into the Hazzard family (1; not yet confirmed by primary source).
?  Edward and Mary Hazzard Wigg's son Major William Hazzard Wigg acquired the plantation. Major Wigg served in the Revolutionary War and was held in Charleston as a prisoner of war after the town fell to the British (3). 1781  British troops were sent to burn the plantation after Major William Hazzard Wigg gave a fervent speech at the execution of his brother-in-law in Charleston (3). 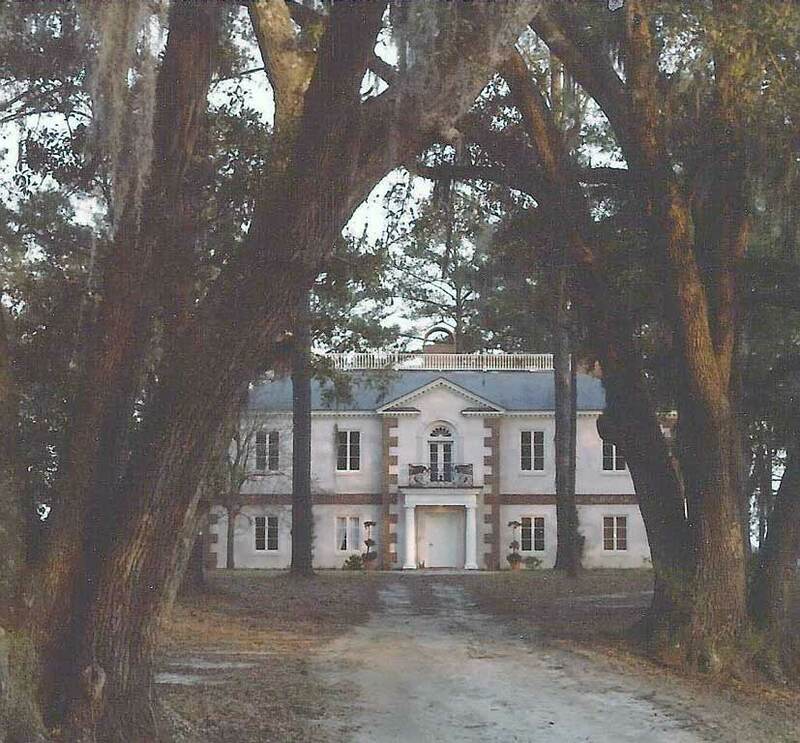 The plantation house was rebuilt (1; not yet confirmed by primary source). 1862  Union gunboats shelled the house (1; not yet confirmed by primary source).
?  Pauline Pratt Webel owned Oldfield along with Goodhope Plantation (1; not yet confirmed by primary source). 1971  Robin Carrier purchased the property. 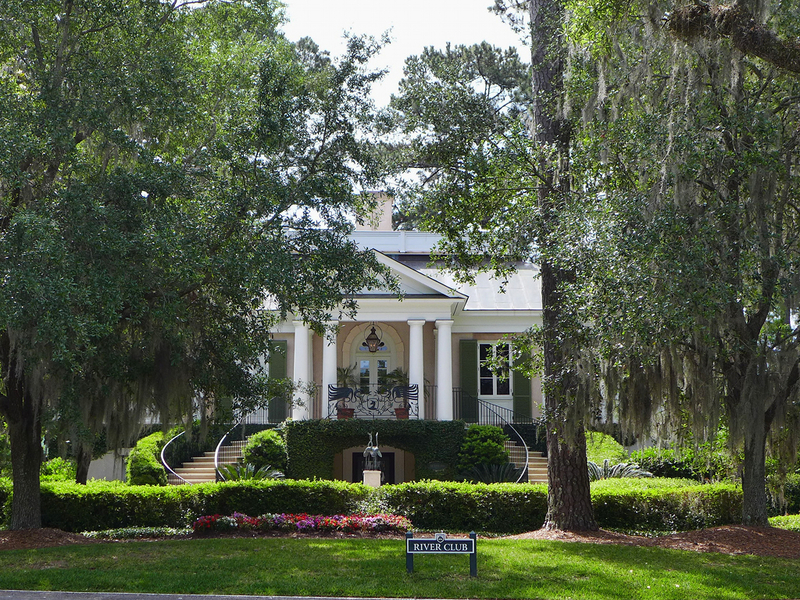 She built a Georgian style home which now serves as Oldfield's River Club (2). Robin Carrier called the plantation Indigo. 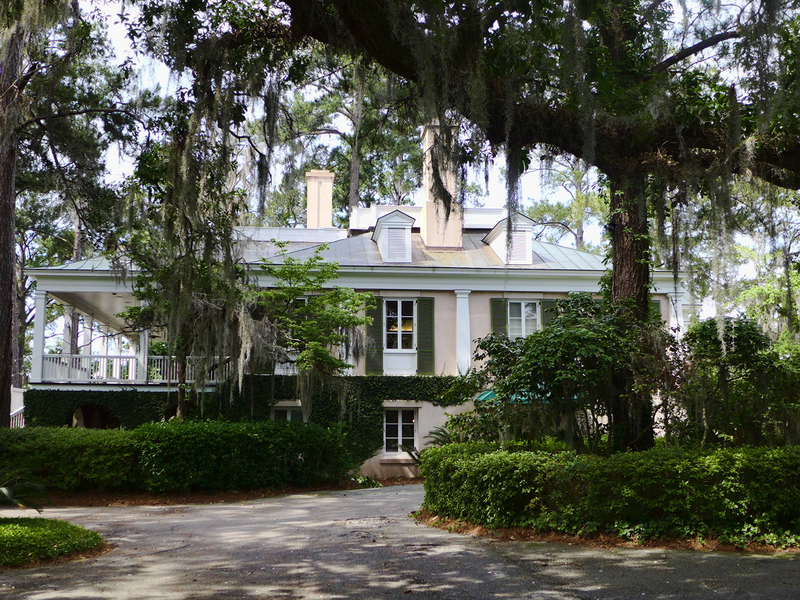 1983  Robin Carrier sold the plantation to a developer from Hilton Head Island who used it for a horse farm (2). 1998  Crescent Resources LLC. purchased the property and began to develop it as a golf course community (1). 2010  TI Oldfield Development acquired the assets of the development's balance of land sites (1). Information contributed by Noel D. Atherton who lived at Indigo Plantation from 1972-1982 with her parents Robin Carrier and Col. Griffin. Information contributed by Noel D. Atherton from a magazine article by Edith Inglesby that was published in Sandlapper in the 1970s.